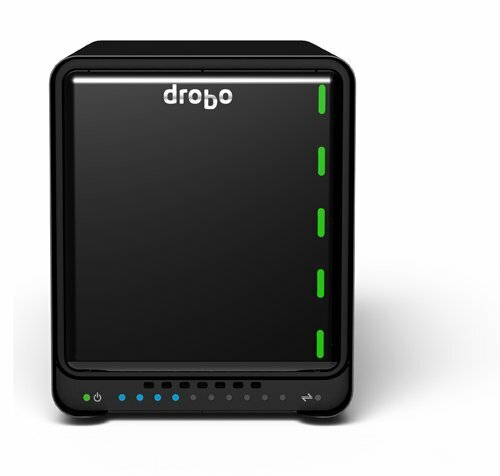 The Drobo 5N was designed to deliver the best file sharing experience available. From the moment you open the box, you’ll know there’s nothing like it. It’s perfect for any connected home, home office, or business environment that needs simple, safe storage for sharing and backing up data over the network. Not only is the Drobo 5N fast, but also easy-to-use, expandable, and automatically protects against hard drive failure(s). It’s perfect for storing large collections of photos, movies, music and documents and integration with Apple Time Machine makes it an excellent way to back up all your Macs to a single device. Supports myDrobo Platform and DroboAccess encrypted-end-to-end remote access, and DroboPix that allows secure and automatic uploads of mobile photos and videos. DroboApps support, including CrashPlan, ElephantDrive, BitTorrent Sync, ownCloud and Plex.